Watch the video below to learn about the incredible prototyping versatility of 3 new material enhancements made for the J750 system. 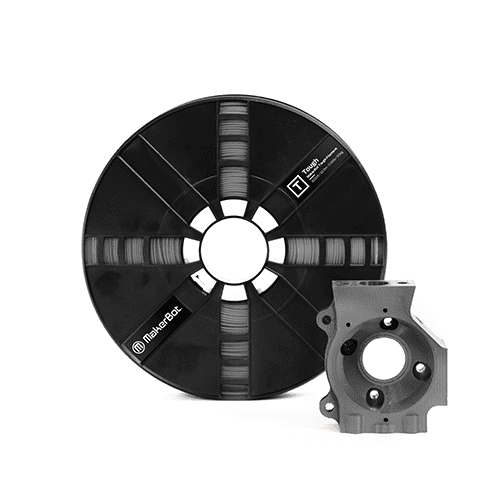 The first enhancement is new Digital ABS Plus printing material where the ball valve design in the film has been reworked for easy cleaning and maintenance. Traditionally, this type of valve would use 4 nuts and bolts for a secured fit, but this design utilizes a quick release, tool-free mechanism to secure the perfect fit and is easy to use. Next, Agilus30 rubber-like material has also been updated with enhanced tear resistance for consumer goods and electronics packaging prototypes. Other case materials for earphones have been updated with smooth, glossy colour textures that include marble, wood-grain, carbon fiber and more. In the world of eyewear, new VeroFlex material offers advanced design verification and functional performance capabilities tuned to the needs of eyewear design and manufacturing companies.